The wx and band condition were not very good this year. We did however work 187 contact, thanks to all that made the trip. Antennas were limited to a doublet and 5 band single vertical because of the stormy weather. 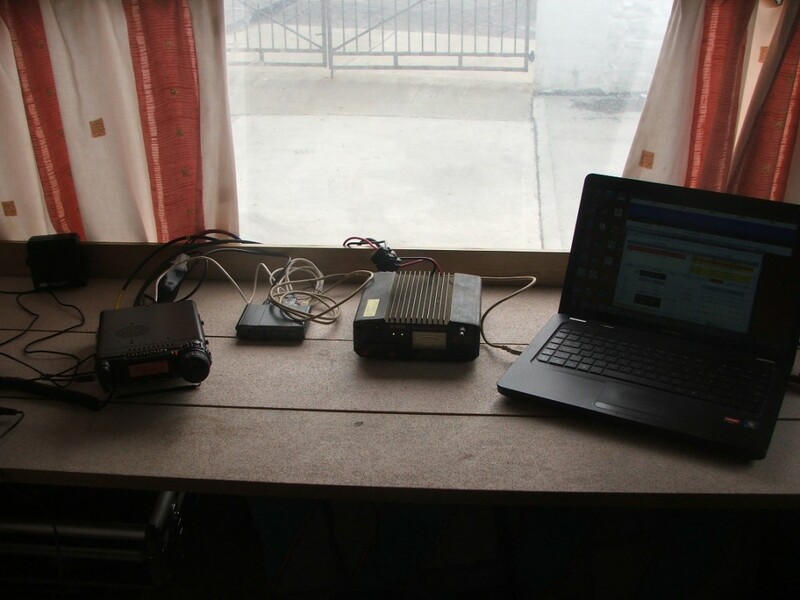 The station this year was a IC-7200 Heil HC4 headset Toshiba laptop with dual screens, software used was N1MM+ for logging and FlDigi for psk. This set-up ran all the voice and psk contact. 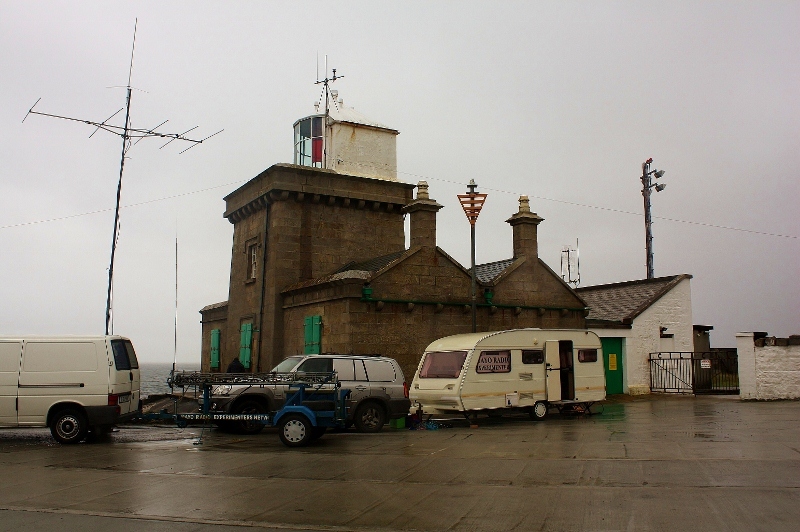 The antennas were the btv5 vertical and 136ft doublet, Max power 100w. We were hoping to trial the clubs new radio IC-7300 for the weekend. This plan sank as the radio delivery was delayed until the following week. The IC-7200 worked well as always and pulled the contacts in. 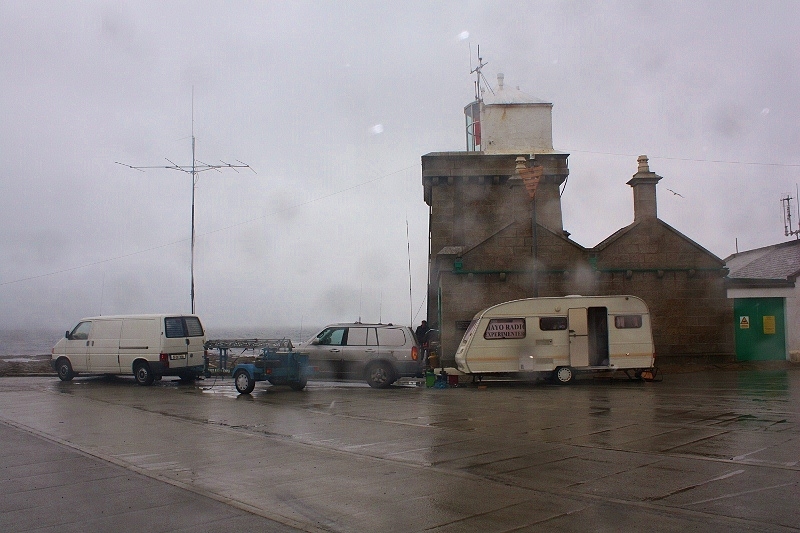 The 6 meter station was run from the rear position of the caravan. The station consisted of a FT 857 driven by a Compaq laptop via a SCU-17 interface, with a 5 element beam rotated by the arm-strong method. The software use was Wsjt for jt6m and Wsjt-x for jt65. 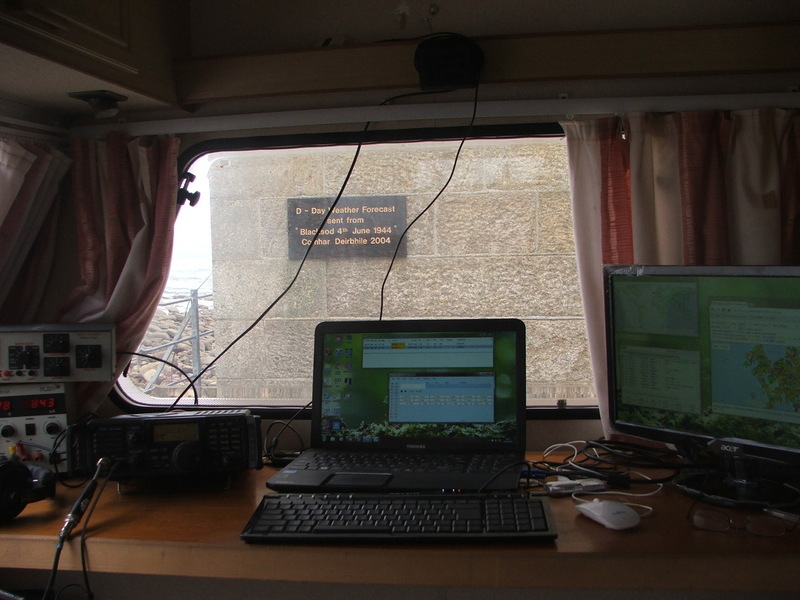 Again a big thanks to those stations who work us in very tough conditions on 6 meters. As you can see from the above pictures the weather was wet and windy. This did stop us from using the clubs tower and spider beam. I did not want to be hanging on to the tower in the middle of the night when the winds got up. The weather for us on the Mullet peninsular was quit good on the Saturday evening and Sunday morning. When we looked out towards Bangor Erris round to Achill the clouds look black. so we knew the good spells was not going to last. We were very grateful for the gaps in the weather. The band conditions did not improve no high angle sky wave and high levels of qsb made it hard going all weekend. 20m and 40/80m in the evening was the only band activity. Again thanks to all that persevered and made it into the log.